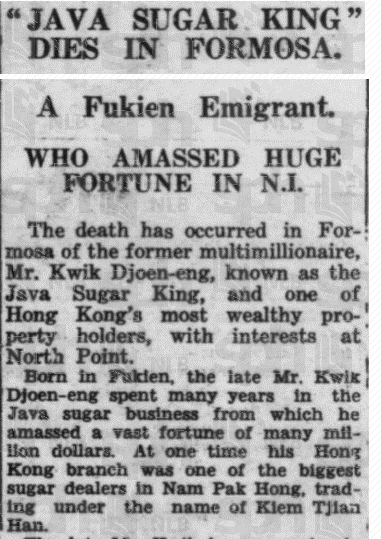 Hugh Farmer: Kwik Djoen Eng was apparently also known as Chun Yang, the shortened form of Guo Chun Yang, and somewhat confusingly, for non-Chinese readers, Kwok Chun Yeung. 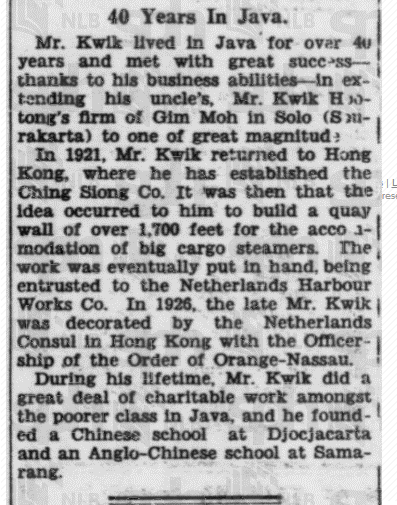 Many thanks to Thomas Ngan for confirming that Kwik Djoen Eng and Kwok Chun Yeung are the same person. 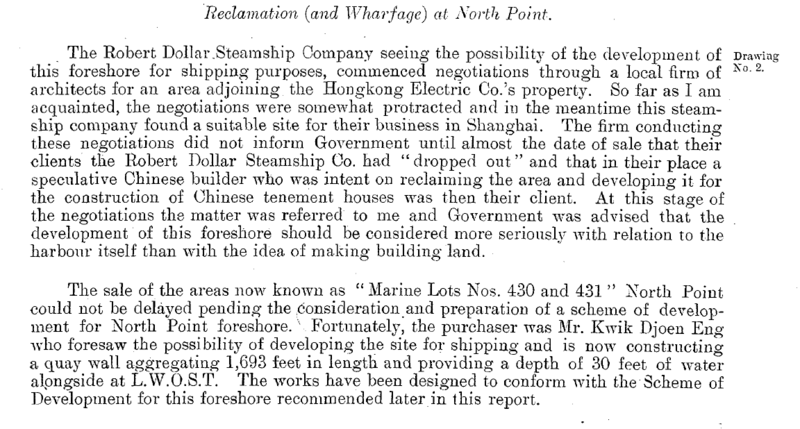 Thomas suggests this array of names is likely due to the romanisation of the same Chinese characters being pronounced in different dialects and that Gou Chun Yang would seem to be Putunghua Pinyin. Thomas later added, that the above is confirmed in the following book and that Kwik Djoen Eng is in fact 郭春映. And Gou Chun Yang would seem to be its Putunghua Pinyin version. Kwik Djoen Eng was known as The Java Sugar King but had commercial interests in Hong Kong. 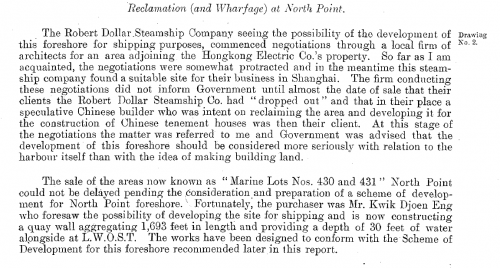 His name occurs in the Report on the Commercial Development of the Port of Hongkong, published in 1924. 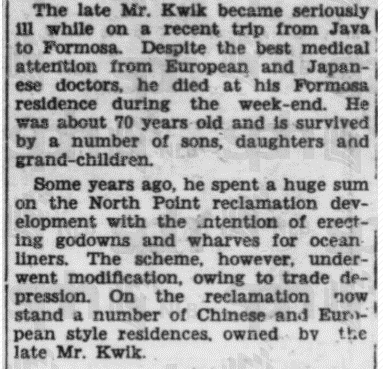 Here is an obituary from The Straits Times, 1st Feb 1935, p 19 with a brief mention of Kwik Gjoen Eng’s proposals in North Point. 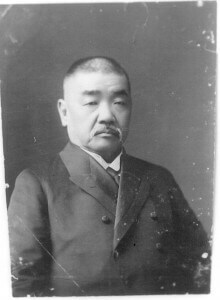 I wonder became of them?